Sunday 26th May is Scarecrow Sunday. It’s a chance for families and friends to get out in the open air and enjoy being in the Walled Garden at Chadkirk. It’s an opportunity to do creative things with straw. And other materials. It’s a chance to make a life size piece of art. Bring your imagination. Build your own scarecrow. Perhaps you can enjoy having a bit of a rummage through wardrobes, drawers, cupboards. See what you can find that might inspire a special scarecrow, something unique. Or come along and use the bits and pieces that the Friends of Chadkirk provide. Your scarecrow can be male or female, royalty or celebrity, footballer, nurse, clown, wizard. Get your thinking cap on. Head gear for the scarecrow? wigs? flowing robes or shorts and T-shirt? The Olympic Games of 2012 inspired many of last year’s entries. What will inspire you this year? The event begins at 11.00 hours in The Walled Garden. There are two categories of scarecrow. And entry details remain unchanged since last year. Children must be accompanied by a responsible adult. In 2012 all entries were rewarded with a small prize. 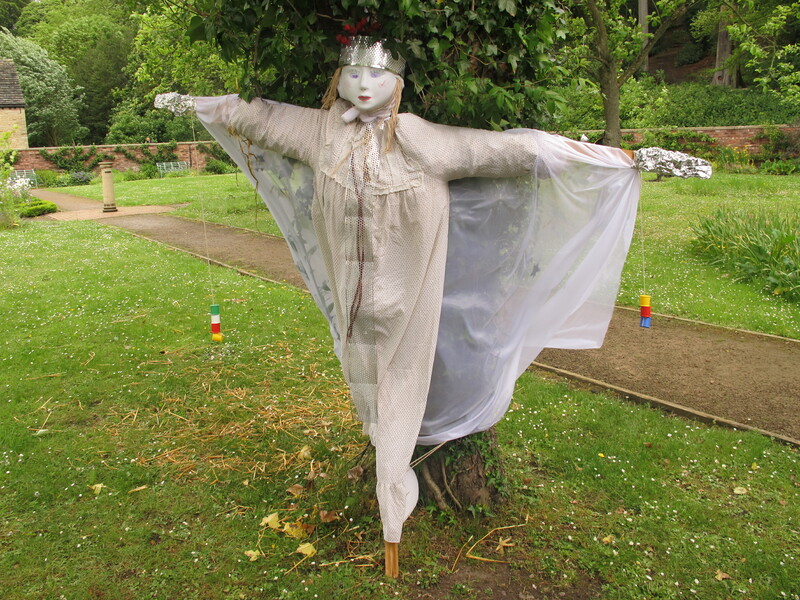 Can the scarecrows of 2012 inspire you in 2013? The foliage of the woods is expanding into the full canopy of summer. Bird song and green leaves. You’ll maybe hear them, and yet, spotting the birds in the canopy…not so easy. Can you match sight and sound? Hear the song and know the bird? 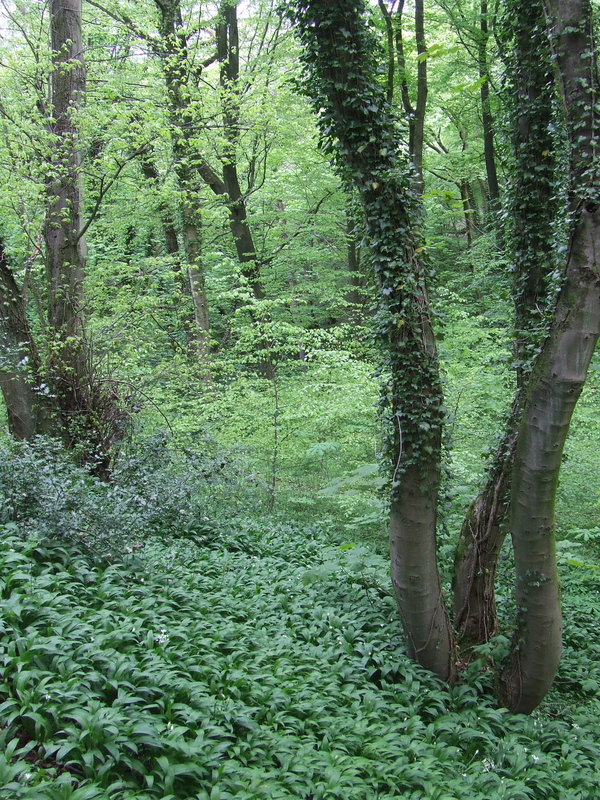 Walking through the woods with John, he’ll point in the direction of the song of a blackcap or a chiff chaff. Me? barely a clue. If your bird song recognition is more like mine than John’s then the BBC can give you a few clues. Listen. Tweet of the Day on Radio 4. On the website, photos to go with the sound. Here’s the link. See. Hear. Walking from Hyde Bank, along the canal and then following the path through Kirkwood, there’s the freshness of new growth. Green. The fresh green of spring. 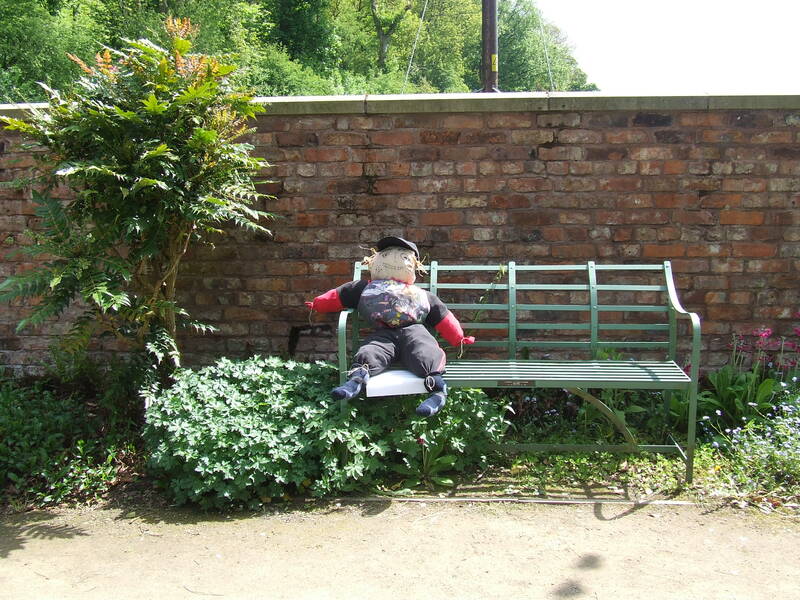 Sunday 26th May at 11.00 am Scarecrow Making in the Walled Garden. Saturday 8th June at 2.30pm Plant Sale in the Gardens at Chadkirk. Thursday 4th July at 7pm Friends of Chadkirk Meeting to discuss the Chadkirk Festival which will take place on the last Sunday in July. Saturday 1st June Friends of Chadkirk will be gardening. New volunteers are very welcome to join us in the Walled Garden after 2pm. On Thursday June 6 at 7pm Friends of Chadkirk meeting. Walking the talk. Following the route of Lesley’s Heritage Walk around Chadkirk. Taking the flight of steps up into Kirkwood, visitors are able to see a variety of trees and the wildlife they support. There are oak, beech and sycamore. Some of the sycamore have been topped. This allows light to penetrate to the woodland floor and encourages the growth of a ground layer of plants, providing food and cover for invertebrates. The stumps are left standing as these also play their part in increasing biodiversity. Look carefully. Can you see the work of the woodpeckers of Kirkwood? 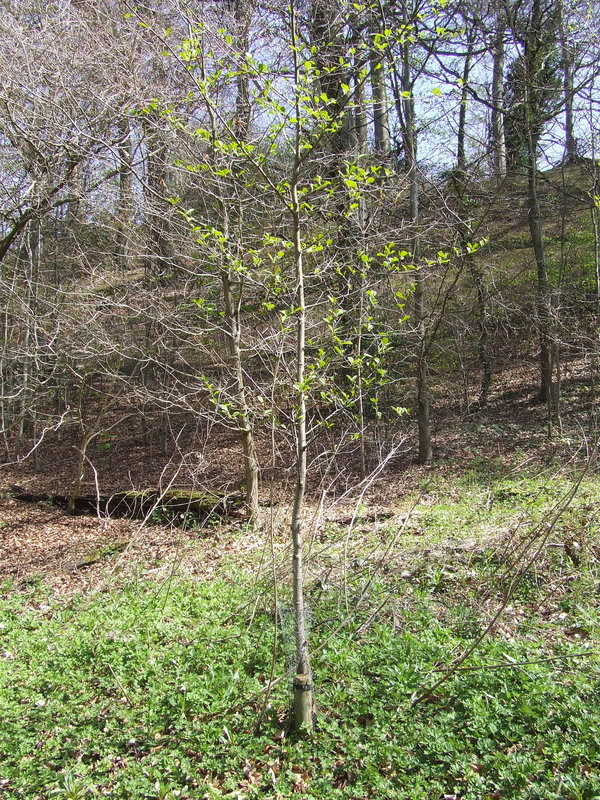 On the left is an area where beech seeds have germinated and grown into small trees. If left, they will grow tall and thin, blocking out the light. 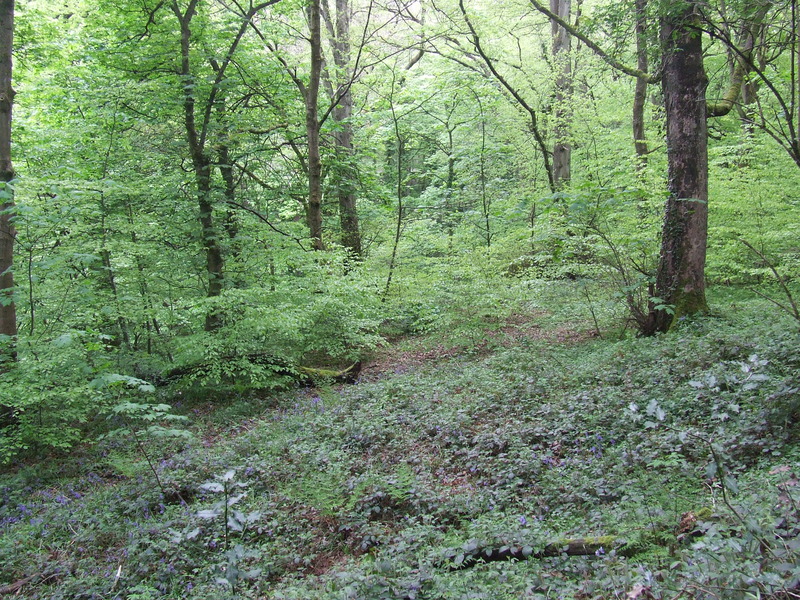 The plan for management of the woodland means that they will be thinned. 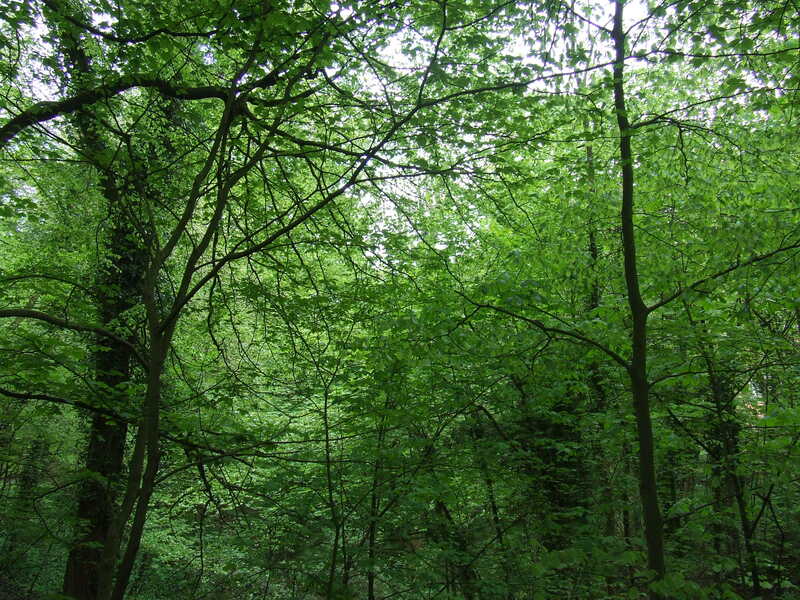 Perhaps 30% will be removed and replaced with saplings of other native trees – silver birch, rowan, oak. Later they will be thinned again. At each stage action taken to allow in light and encourage biodiversity. 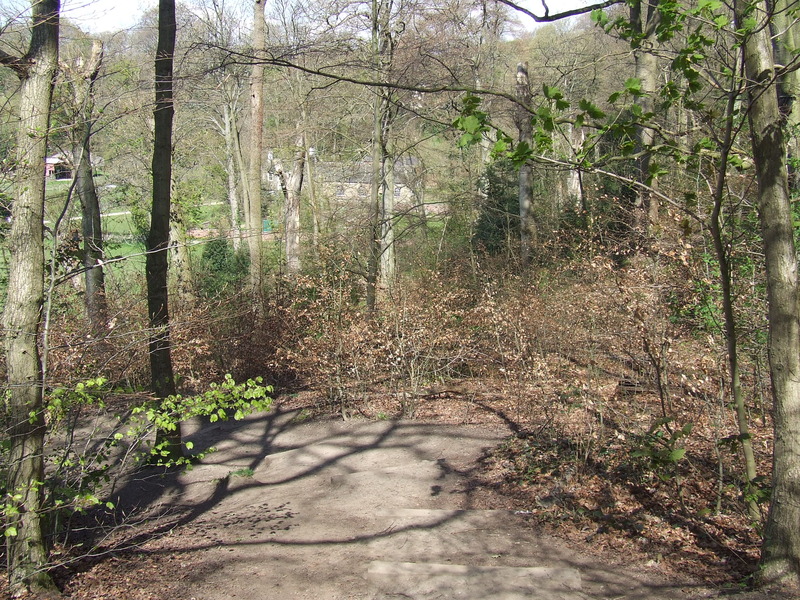 To the right of the path, a damp area has been planted with Alder. 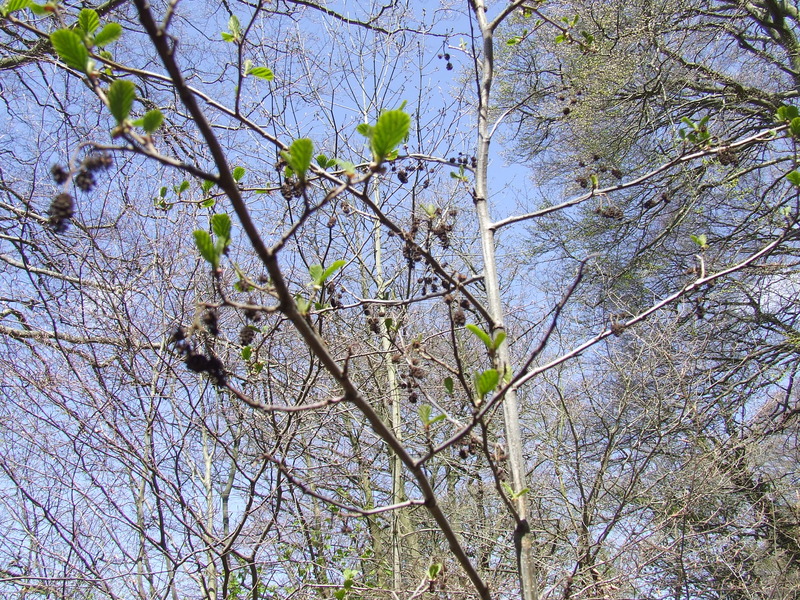 These young trees have catkins which are attractive to Siskins. As the trees grow, they will provide more food for these migratory birds and perhaps make it easier for visitors to Chadkirk to see them. 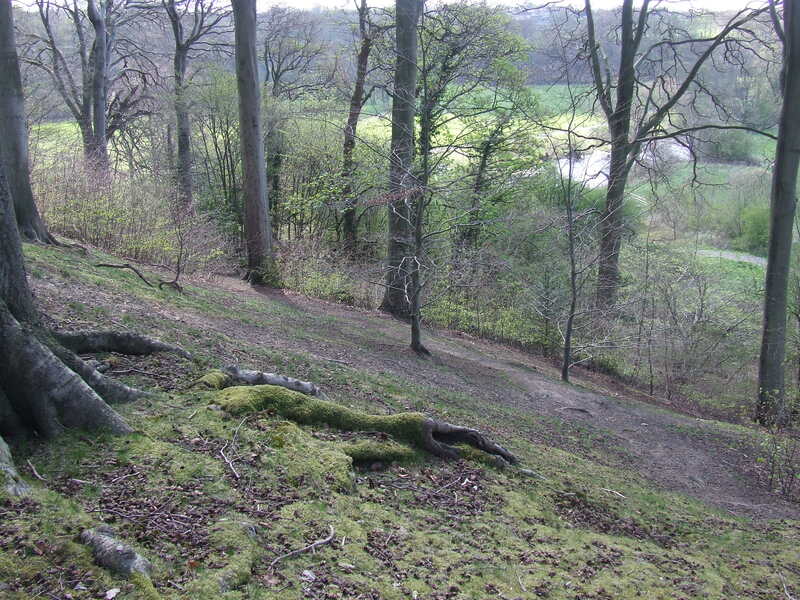 Over the crest of the hill, towards the river, a stand of beech trees shows why this management strategy is helpful. 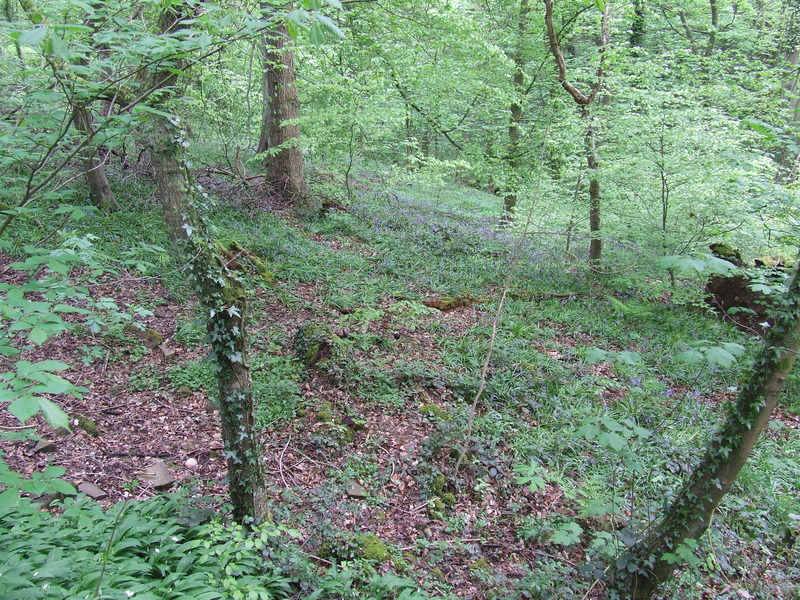 Here below the beech trees there is no undergrowth. This provides much less opportunity for colonisation by wildlife and is vulnerable to soil erosion. In this part of Kirkwood, future work will be undertaken to introduce light by felling 3 fire damaged trees. This will take place on Thursday 9th May in Chadkirk Chapel 7-9pm.